Currently the activity of Mount Agung Bali has shown no signs of bad. The information from these mountain climbers is at the bottom of the crater now visible bursts of small hot water that is likely a boiling water resulting from the temperature of the crater is getting hotter. - Now, the status of Gunung Agung Bali is wary. Will Mount Agung Bali erupt? The most unexpected question of most Balinese. Because a few decades ago this mountain once erupted, resulting in many casualties, many Balinese died from the eruption of Mount Agung. If Mount Agung erupts at this time. So big panic will happen in Bali. Many residents live around the mountain. Even this mountain has been considered to be the place of the ancestral spirits and the gods for the Balinese. 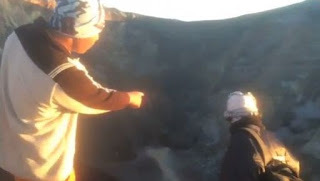 Currently, the scary activities in the crater of Mount Agung are very often seen and heard by the climbers guide. A rumbling sound from the bottom of the crater indicates a great activity from within the mountain. Hot springs and small lava are sometimes seen. The lava on the crater also shows the growing smoke. The visible smoke was probably hot money, probably also from the lava inside the mountain. If there is a growing vibration from the seismograph recording, then the possibility of this mountain activity shows signs of eruption. Because the sounds from inside the crater are very loud audible. Rumbling sounds like a boil of water in a frying pan, yet more enlarged and echoing. Residents of Bali are also surprised by the circulation of videos stating there is an increase in volcanic activity of Mount Agung. The video footage looks pretty convincing even though it is not fully justified by the authorities. Video duration of about 82 seconds (1 minute 20 seconds) it shows the condition of the crater and the crater of Mount Agung. 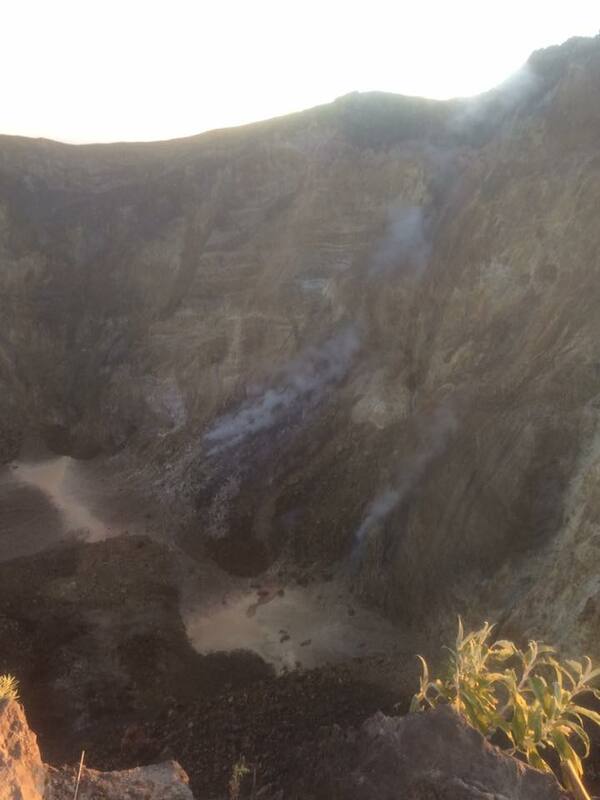 Two men who allegedly were local climbing guides, said there was volcanic activity in the form of a spray of water from the crater of the mountain. The video was recorded day, Wednesday, September 13, 2017. Two people also said there was a roar in the crater. There is also a stinging sulfur smell. Head of Regional Disaster Management Agency (BPBD) Karangasem, admitted also saw the video. According to him, the video recording has been coordinated with Dewa Merta Yasa as the monitoring officer at Monitoring Post Rendang. The result, it is true a month lately there is an activity that is a small earthquake several times. The observation of the mountain declared visually Mount Agung in a month is clearly visible until covered by fog 0-I until 0-III. By the time the mountain is clear, the crater smoke is not visible and the sound of the fall is not heard. Seismograph data from Seismograph Ps.2 at Post Rendang in this month recorded 99 earthquake activity 46 times far tectonic earthquake, 15 times local tectonic earthquake, 37 times deep tectonic earthquake and one shallow tectonic earthquake. Based on the seismic data, according to Arimbawa, Gunung Agung activity in normal level. Gunung Agung is also still safe for climbing activities. But the climbers are expected to remain cautious and alert. To climb in order to always coordinate with an existing guide.